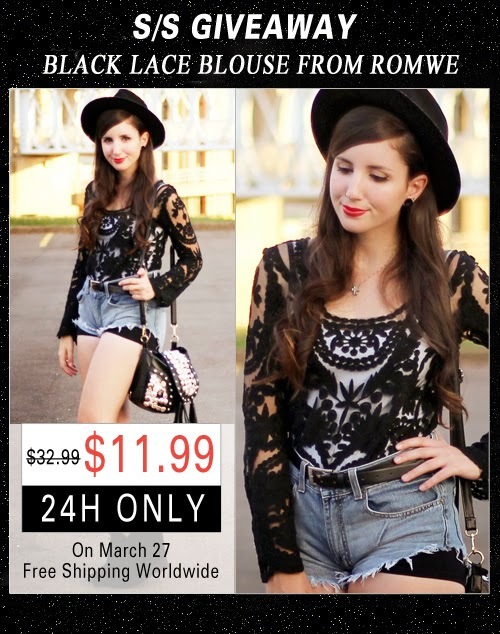 Shopping with Glenz: black lace blouse in 3D embroidery Giveaway! black lace blouse in 3D embroidery Giveaway! 2. Leave a comment following this poster too. This is a worldwide. I’m not responsible for any prize fulfillment. One winner will be emailed after the giveaway ends. That's cute! I love lace tops.